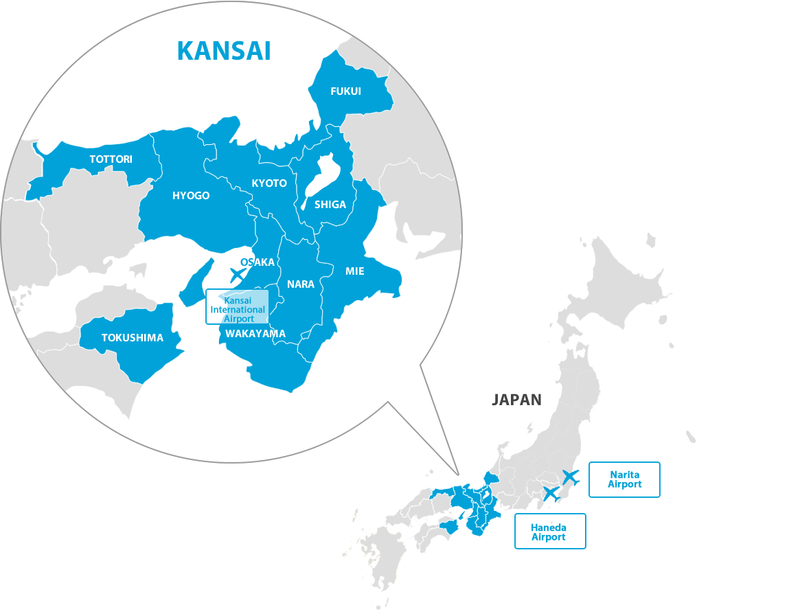 Kansai is located in the center of the main island of Japan, it takes about two hours by bullet train from Tokyo. As an old capital of Japan,the history and culture has been flourished here in KANSAI. Traditional Japanese beauty spreads throughout KANSAI. Kyoto Prefecture is located on the north side of Osaka Prefecture, and it is about 140 km long. 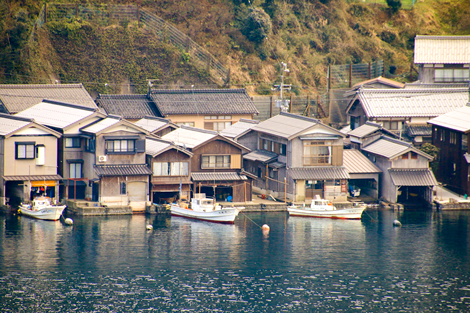 The original scenery of fishing village from Japan's ancient times is remained even in the present, and the original scenery of rural forest is left in the center part. "Uji" is one of the leading Japanese tea producing areas in Japan, and "Uji tea" is known as one of Japan's three major teas. Kyoto city is located in the southern part of Kyoto Prefecture. Japanese culture has been nurtured in Kyoto city where the the Imperial court of Japan had been placed for more than 1000 years, and a unique aesthetic sense of Japan was formed. 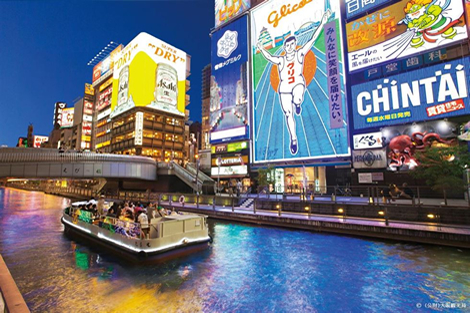 Osaka is the largest economic center in west Japan, and it is serving as a gateway to KANSAI including Kansai International Airport, Osaka International Airport, Osaka and Kobe Ports. Osaka surrounded by a river is called "the capital of water" , and its economy and culture was developed by water transport. Sakai is the second largest city after Osaka city. 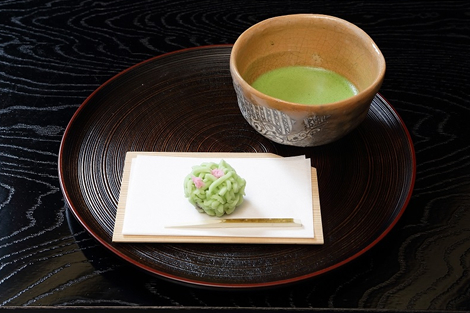 Sakai city is the birthplace of Sen no Rikyu, the Meister of the tea ceremony. It is used to be the center of trade. The Nintoku Emperor Tomb burial mound, the world's largest (total length 486 m) tomb, is listed as a World Heritage candidate. Hyogo Prefecture is located in the west side of Osaka Prefecture, facing the Sea of ​​Japan in the north, Osaka bay and the Seto Inland Sea in the south. The world's largest suspension bridge "Akashi Kaikyo Bridge" is as the height of civil engineering technology in Japan. 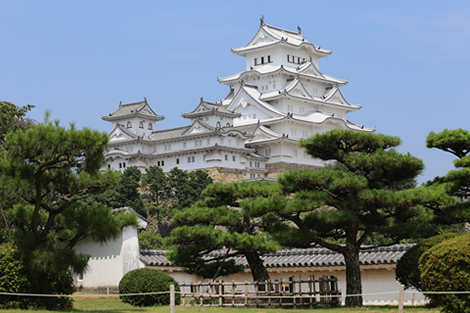 "Himeji Castle" (the picture above), which was registered as a World Heritage Site for the first time in Japan in 1993, is about an hour by train from Osaka. 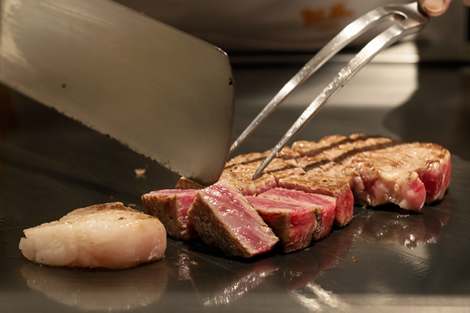 Kobe city faces Osaka bay and has been developed as a base of trade, so it is strongly influenced by Western culture. Sannomiya which is the center of Kobe is about 30 minutes by train from Osaka. 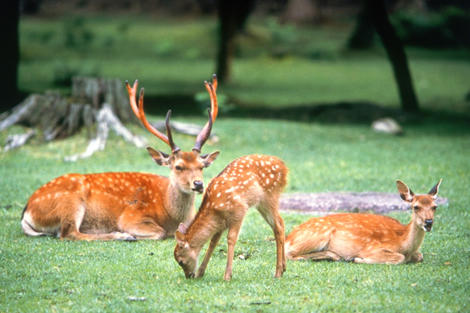 Nara Prefecture is located in the east side of Osaka Prefecture, it is the first capital city (capital) in Japan. In Nara prefecture, World Heritage spreads in three places, "Buddhist monuments of the Horyuji area in the Horyuji area" and "Cultural assets of Ancient Nara" in the northwest, and "Sacred place and pilgrimage road of the Kii mountain range" in the south. It is approximately 30 minutes by train from Osaka to the northwestern part of Nara. Wakayama Prefecture is located on the west side of the Kii Peninsula, the largest peninsula in Japan, and has a large mountainous area in the southern part. Koyasan which is 800 meters high is one of the sacred places in Japanese Buddhism held as a dojo of Shuzen, about 2 hours from Kansai International Airport. 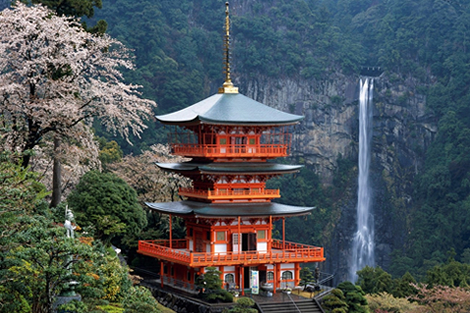 In addition, the "Kumano Kodo" and "Kumano Nachi Taisha" (the above picture) which was also certified as a UNESCO World Heritage Site in 2004 prospered as the largest sacred place in Japan. Fukui prefecture faces the Sea of ​​Japan, and there are scattered cliffs including Tojinbo. Eiheiji of Zen temple surrounded by cedar forests was established in 1244 as a dojo for practicing Zazen. 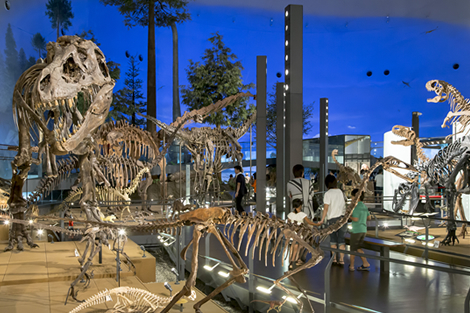 The dinosaur museum (above picture) is a natural history museum with the theme of dinosaurs as one of the three biggest dinosaur museums in the world. 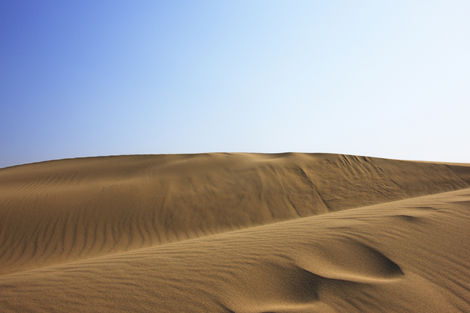 Tottori prefecture faces the Sea of ​​Japan, and Tottori Sand Dunes (above picture) , the largest sand dune in Japan spreads in the eastern part. The coastal areas have various topographies and geology from the time the Japanese archipelago was a part of the Asian continent. It is known as "San'in Geopark". Tokushima Prefecture is located at the eastern end of Shikoku, about 3 hours by car from Osaka. 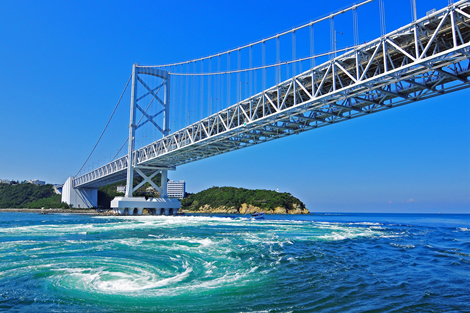 A whirlpool tide occurs due to the large amount of seawater flowing into the Naruto Strait, and you can experience the whirlpool tide (above picture). 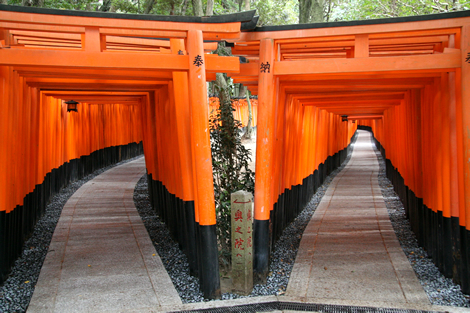 In the central part, Iya gorge is a place as one of the three greatest secrets of Japan. In addition, The Otsuka Museum of Art displays duplicates over 1000 pieces of Western paintings of over 190 art museums in 25 countries created on a ceramic. 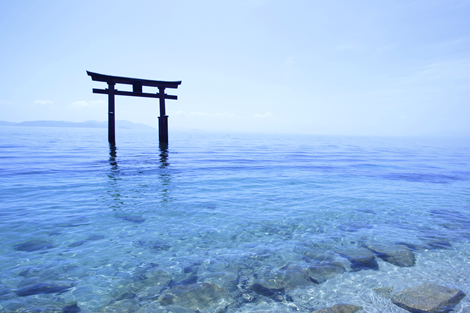 Mie Prefecture is located on the east side of the Kii Peninsula and has a coastline of about 1,000 km. It is also known as the site of the Ise Shima Summit where G7 was held in 2016. 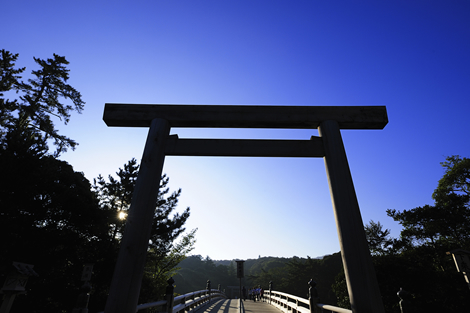 Ise shrine has been visiting worship from the whole country as a journey of the goddess since about 400 years ago. Iga is also known as a place of ninja. COPYRIGHT © KANSAI Tourism Bureau ALL RIGHT RESERVED.